Karl passed away on October 24, 2018 at the age of 89. He is survived by his son Peter Facinek (Efaf) and granddaughter Jenna Facinek. Karl arrived in Canada in 1956 from Austria. He lived first in Montreal, QC, then, settled and raised his son Peter in Calgary, AB. Karl moved to the Okanagan Valley 25 years ago to live closer to his son. Karl was a true outdoorsman who loved fishing, hunting, camping and his greatest passion – downhill skiing. He will be greatly missed. A Celebration of his life will be held on November 4, 2018 from 12:00 pm – 4:00 pm at the family home in West Kelowna, BC. The service for FACINEK-MUECK, Karl is scheduled for November 4, 2018 from 12:00 pm - 4:00 pm . Below you will find the map for the service location and the contact information should you have any questions. Pete, we are sorry to hear of your loss. I recall your stories of fun times you enjoyed with your dad at Mable Lake. They did sound like fun. Sad to hear Karl passed away. 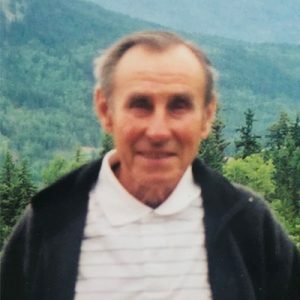 He was a long-time customer of mine at TBC (horse-racing at the Kal Hotel in Vernon) – over the years we became good friends – he was very proud of his son and spoke of him often. My family sends our sincere condolences to you and your family on the passing of your father. It is never easy to lose a parent, no matter their age. Please know that you are in our thoughts during this difficult time.